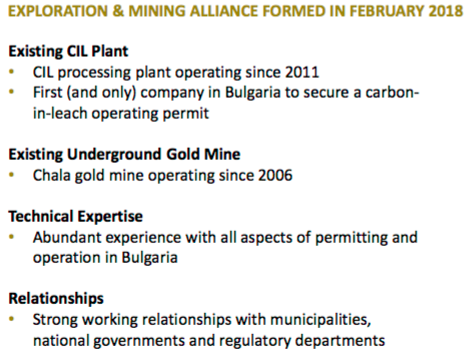 Velocity Minerals Ltd. (TSX-V: VLC) / (OTCQB: VLCJF), the Bulgarian gold exploration & development company, with a strong PEA on its Rozino project, and 6 additional near-surface gold prospects, announced a key strategic investment by Atlantic Gold Corp. (TSX-V: AGB) / (OTCQB: SPVEF). Atlantic Gold is a C$400 M company with proven mine building capabilities. It produced 90,531 ounces of gold in 2018 at a very low all-in sustainable cost of US$521-US$566/oz. The mine was built on time and on budget and production metrics are exceeding Feasibility levels. The mine is being expanded to 200,000 ounces/yr. This is a significant de-risking event for Velocity as it will receive a C$3.9 million equity investment at a premium to its market price, plus a C$5.1 million 5-year secured 8.5% convertible bond investment with a conversion price of C$0.25/share (a 35% premium). The convertible bond has no strings attached (no warrants or other equity kickers). 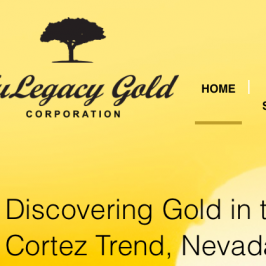 In total Velocity will receive C$9 million from Atlantic Gold. $9 M in Proceeds Will Go a Long Way…. Upon deployment of the C$9 million, Atlantic Gold will own 39.2% of Velocity Minerals on a partially-diluted basis. Atlantic Gold and Velocity plan to work closely together to advance Velocity’s Rozino project through Feasibility studies and ultimately, if warranted, construction and commissioning. 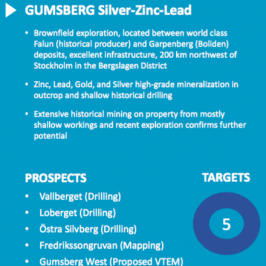 Proceeds from the Strategic Investment will be used to fund the advancement of the Rozino gold project towards Feasibility and permitting, including resource expansion and definition drilling, engineering studies, and environmental monitoring and assessment. In addition, Velocity will proceed with exploration and assessment of satellite deposits where Velocity has negotiated option rights. Atlantic Gold was drawn to Velocity’s Rozino project due to the attractive features of its PEA. 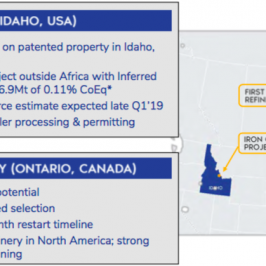 Velocity has an additional important attribute, a local partner that it has an agreement with to process mineralized material through the partner’s currently operating CIL process facility. The facility is located near the Rozino deposit. The Rozino project is arguably more robust than the PEA implies. 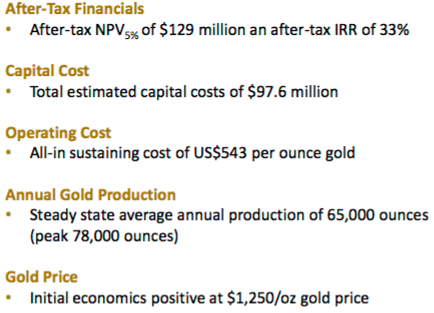 It has an after-tax NPV(5%) of C$129 million and after-tax IRR of 33%, which is fairly compelling for a company with a market cap of C$14 M (pre-Altlantic Gold investment). But what makes it really interesting is the mine life. 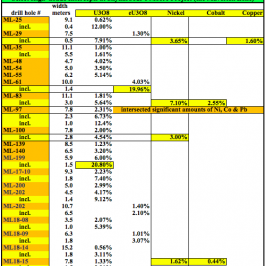 The considerable NPV of C$129 M is on just a 6 year mine life. With Atlantic Gold’s investment and strategic advice, along with funded exploration drilling, that mine life could possibly be doubled. Or, it could result in more production per year. I won’t try to estimate what that might mean for the NPV & IRR, but it would be significant. Higher production levels, if modeled in the next Feasibility report, could potentially lower already low all-in sustainable costs. This move by Atlantic Gold is a tremendous vote of confidence in Velocity, the Rozino project and the team. It’s also a vote of confidence in Bulgaria. At a time where funding junior miners is extremely difficult, Atlantic could have chosen to fund dozens of projects, dozens of management teams. But, they chose Velocity Minerals. And, in looking at Atlantic Gold’s press releases over the past year, I don’t see any strategic investments into other juniors. 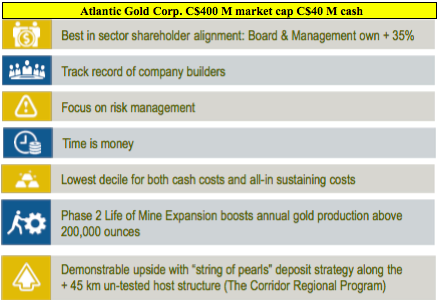 With a C$400 M market cap and C$40 M in cash, and Atlantic Gold’s operations exceeding targets, this is a company that has the staying power to see Velocity not just through Pre-Feasibility this year, but well beyond that. 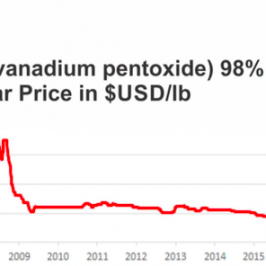 In my opinion the chances that Rozino becomes a mine, surrounded by satellite deposits that could possibly extend mine life beyond 6 years, has gone way up. To reiterate, this is s huge vote of confidence and a substantial de-risking event. Will the market recognize this de-risking? Time will tell. 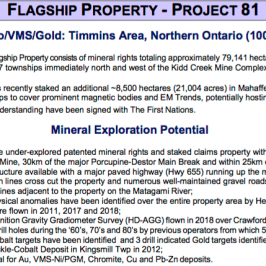 But, C$9 million will take Velocity Minerals a long way towards potentially creating substantial shareholder value. This cash injection frees management from the arduous task of raise capital, allowing the team to focus on what they best — exploring and developing gold mines. Disclosures: The content of this article is for information only. Readers fully understand and agree that nothing contained herein, written by Peter Epstein of Epstein Research [ER], (together, [ER]) about Velocity Minerals, including but not limited to, commentary, opinions, views, assumptions, reported facts, calculations, etc. is to be considered implicit or explicit investment advice. Nothing contained herein is a recommendation or solicitation to buy or sell any security. [ER] is not responsible under any circumstances for investment actions taken by the reader. [ER] has never been, and is not currently, a registered or licensed financial advisor or broker/dealer, investment advisor, stockbroker, trader, money manager, compliance or legal officer, and does not perform market making activities. [ER] is not directly employed by any company, group, organization, party or person. The shares of Velocity Minerals are highly speculative, not suitable for all investors. Readers understand and agree that investments in small cap stocks can result in a 100% loss of invested funds. It is assumed and agreed upon by readers that they will consult with their own licensed or registered financial advisors before making any investment decisions. At the time this interview was posted, Peter Epstein owned stock options in Velocity Minerals and it was an advertiser on [ER]. Readers understand and agree that they must conduct their own due diligence above and beyond reading this article. While the author believes he’s diligent in screening out companies that, for any reasons whatsoever, are unattractive investment opportunities, he cannot guarantee that his efforts will (or have been) successful. [ER] is not responsible for any perceived, or actual, errors including, but not limited to, commentary, opinions, views, assumptions, reported facts & financial calculations, or for the completeness of this article or future content. [ER] is not expected or required to subsequently follow or cover events & news, or write about any particular company or topic. [ER] is not an expert in any company, industry sector or investment topic.